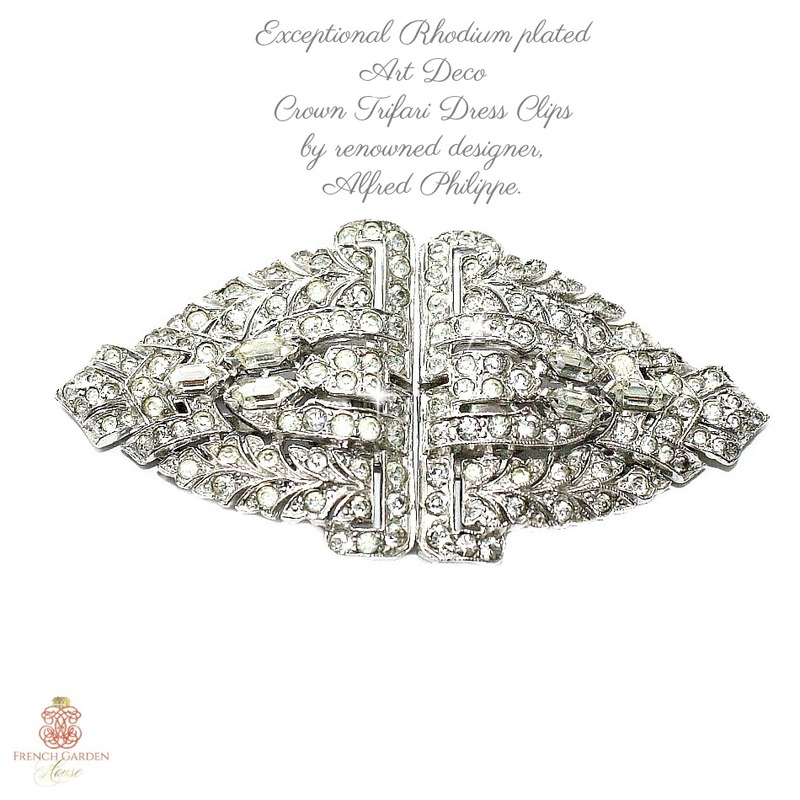 Exceptional Rhodium plated Art Deco Crown Trifari Dress Clips by renowned designer, Alfred Philippe. 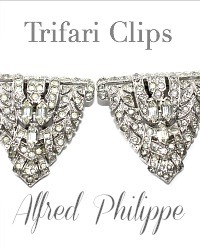 In 1930 Trifari hired Alfred Philippe as head designer, his background designing heirloom quality fine jewelry for firms like Cartier and Van Cleef and Arpels brought a wonderful sense of luxury and style to the company. The Trifari Vintage Costume Jewelry Designs he created have all the glamour of fine jewelry, they are the most collectible of Trifari jewelry. 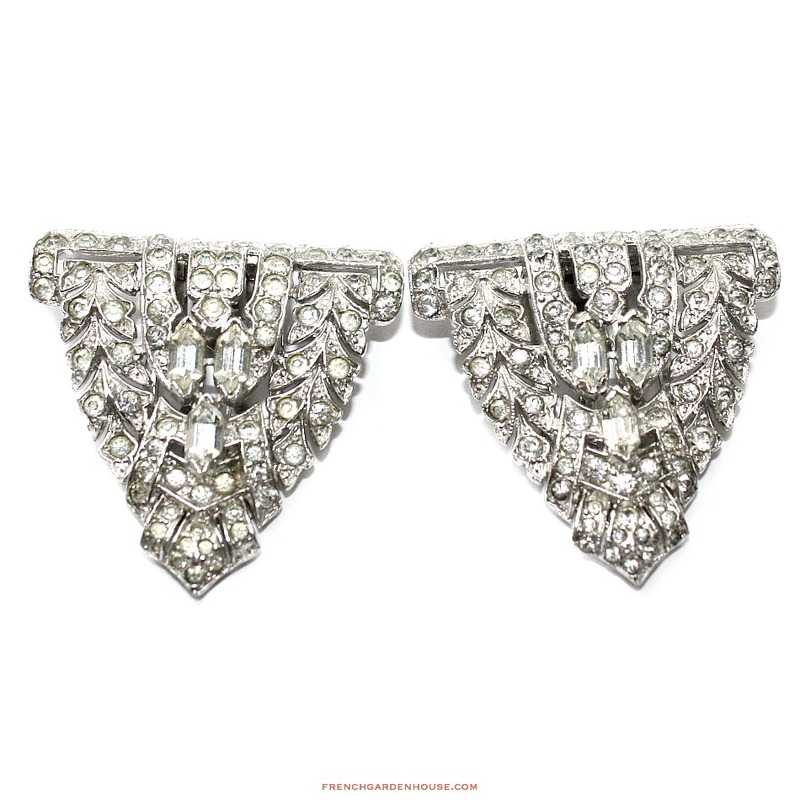 This pair of dress or fur clips have a curvature that gives the design dimension and depth. Multiple bands of sparkling rhinestones curve to create a luxury effect, crystal rhinestones in both bezel and hand settings cover each clip brooch, three baguette stones add opulence. 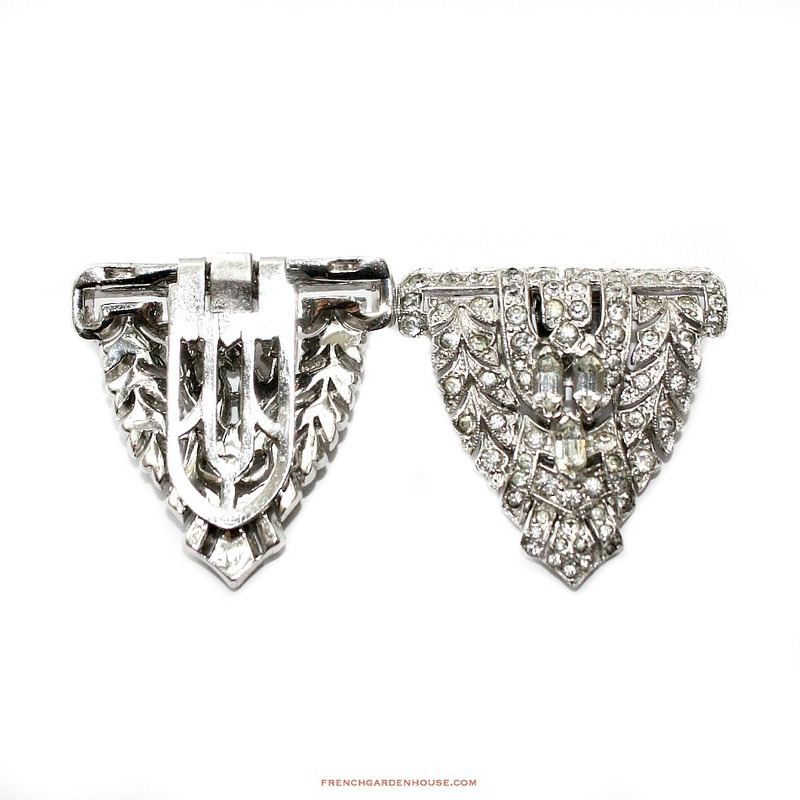 Dress clips were made to accentuate an alluring detail such as a well-cut lapel, they can be worn as pins on either side of a neckline and will make any dress, blouse, or jacket dazzle! Hallmarked with the Crown over the T used by the company during that period. A fabulous addition to your collection, or the beginning of one!